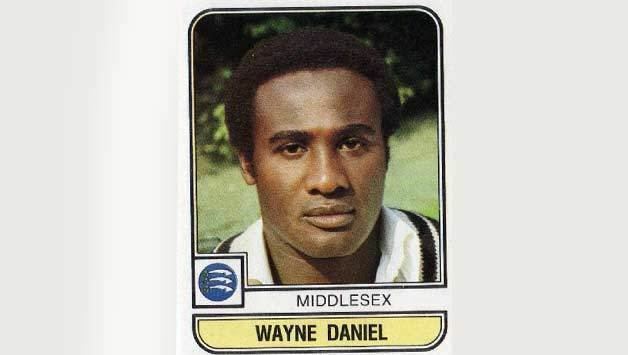 Wayne Wendell Daniel (born 16 January 1956) is a former cricketer, playing 10 Tests and 18 One Day Internationals for the West Indies between 1976 and 1984. 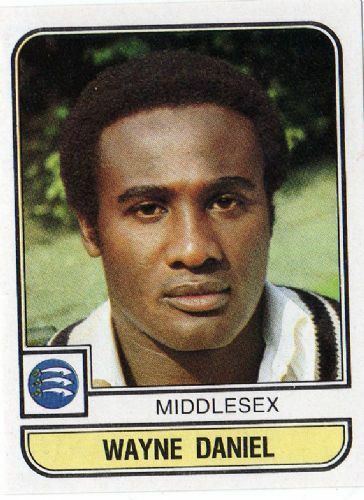 A hostile and muscular fast bowler, Daniel toured England with the West Indies schoolboys team in 1974 and Middlesexs Second XI in 1975 before making his first-class debut for Barbados in 1975/76. Daniel, in partnership with fellow fast bowlers Michael Holding and Andy Roberts, contributed greatly to the defeat of England in 1976. Nicknamed "Diamond" or "Black Diamond", in 1977, Daniel accepted an offer to play in World Series Cricket, which kept him out of Test cricket for two years. Although Holding and Roberts resumed their Test careers after World Series Cricket, Daniel was less fortunate, as Malcolm Marshall, Colin Croft, Joel Garner and later Courtney Walsh came to the fore in his place. Daniel found himself left out of the national team and forced to carve out a successful first-class career with Middlesex between 1977 and 1988, gaining his county cap in 1977 and awarded a benefit in 1985. He took 867 wickets at an average of just 22.47 with a best of 9 for 61. He also took another 362 wickets at an average of 18.16 in 241 one day games, including a then English domestic one day bowling record of seven wickets for twelve runs, for Middlesex against Minor Counties East at Ipswich. Daniel also played for Western Australia in the Sheffield Shield 1981–82 season and for his native Barbados between 1976 and 1985. Daniels run up was idiosyncratic but he bowled with a strong action, bending his back and then following through halfway down the pitch to deliver heavy balls which hit the batsmans splice or ribs. Outside of cricket, Daniel listed his hobby as "listening to soul music".